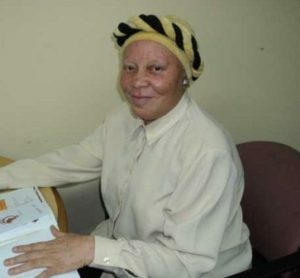 The President of the Association of Female Albinos in Cameroon, Marie Madeleine Wafo, has observed that most Albinos die of cancer due to lack of treatment. “Most albinos die of cancer because they lack the means for treatment. If Government could issue free health cards to be treated in hospitals, it will reduce the mortality rate,” stated Wafo. Wafo made the call while commemorating the International Albinism Awareness Day celebrated on June 13. While acknowledging the fact that they are often marginalised, the President of Female Albinos in Cameroon pleaded with the Government to facilitate their insertion into the society by creating a professional center as well as offering them free education. Yearning for social inclusion, Wafo also called on the general public to accept them because they want to be treated and live their lives like any other citizen. The weeklong activities that marked the day was spiced by round table conferences on burning issues, press conference, trade fair, free medical consultation, a gala night and the election of Miss and Mister Albino 2016. Twenty- year-old Franck Pieuguen and 25-year-old Regina Ngozi, respectively in the male and female category, won the elections.